This week for Hit Me With Your Best Shot Nathaniel over at the Film Experience has selected a film right up my alley- The Parent Trap (1961). This is the original version of the movie. Not the superb remake starring Lindsay Lohan in 1998 (that’s how you do a remake right!). I’m excited to talk about this film because I really do adore it. It is one of my favorite live action Disney films. The premise is simple enough. 2 girls meet at camp and surprise! They happen to look just like each other. It turns out they are twins separated at birth. Now they start up a scheme to switch places and bring their parents back together again. It’s not the most original story in the world but it is what they do with it that works so well. And most of the credit goes to the charismatic and wonderful cast. 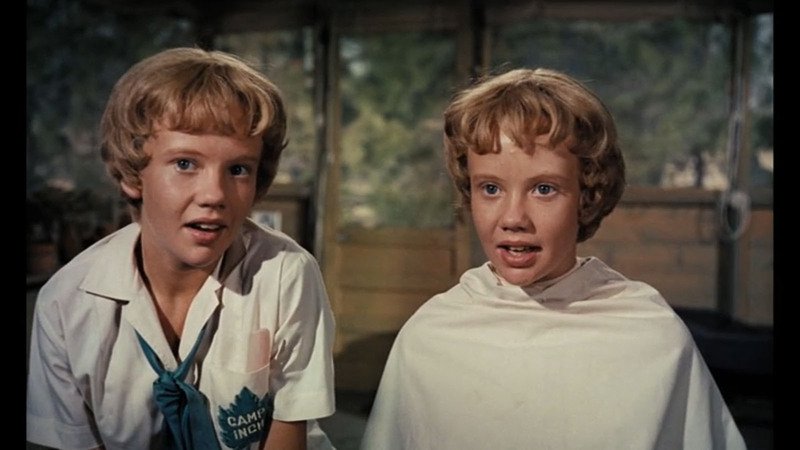 Hayley Mills is amazing as the twins. 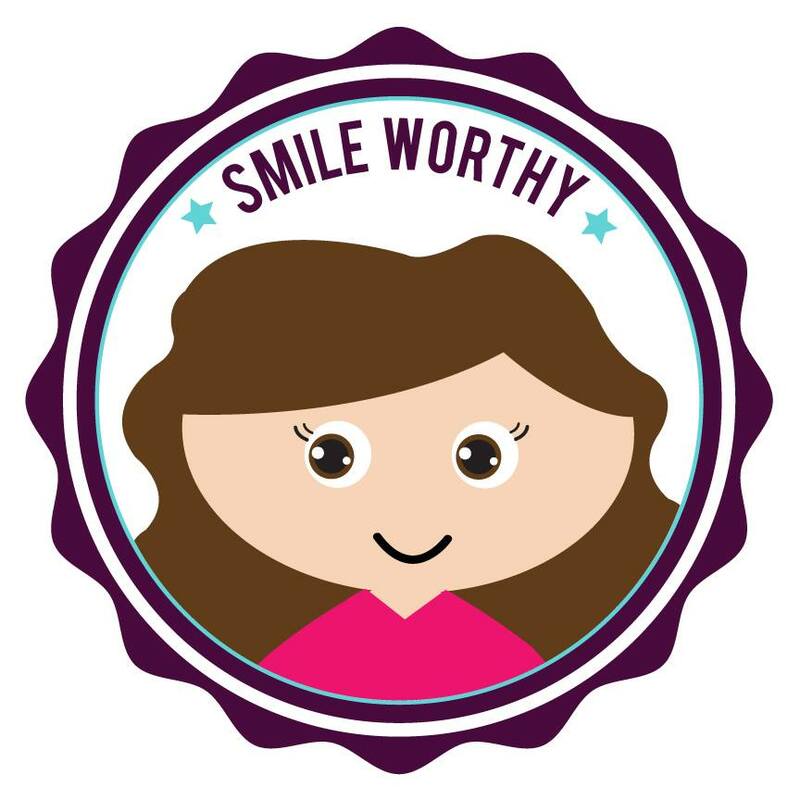 She gives them each individual personalities and manners of talking. Even when they have the same haircut and clothing I still know clearly who is Susan and who is Sharon. I also love Maureen O’Hara and Brian Keith as the parents. They have terrific chemistry together and you buy these two people have always been in love with each other but have let their passionate natures keep them apart. I even love it when she ends up slugging him in the eye in one spirited argument. It feels believable for their characters that it might happen. Under all that fiestiness is of course passion and love for each other. It is classic! The movie is also really funny. 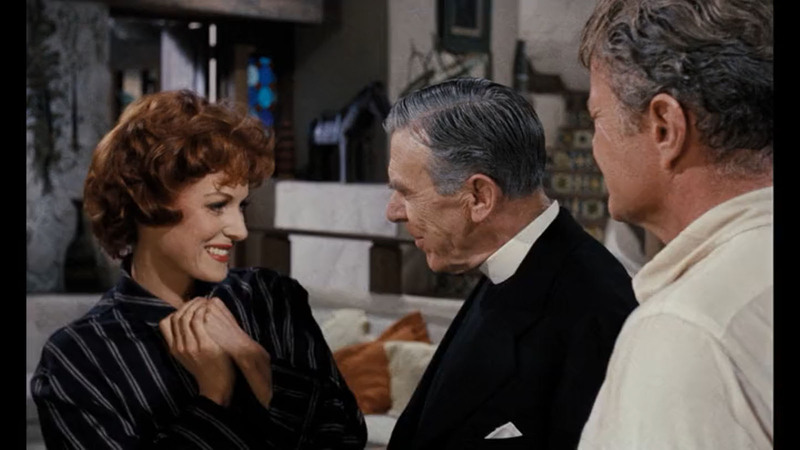 I love Maureen O’hara when she flirts it up with the local Reverend (Leo Carroll) come to go over wedding plans for Mitch and his fiance Vicky (Joanna Barnes). She is hilarious as she drives her ex crazy in front of the Reverend in a bath robe! Vicky is a very stock gold digging horrible girlfriend you often see in romantic comedies. They can’t have her be too great or we won’t want him to get together with Maggie very much. However, here the trope works because they get a lot of humor out of it. I love when the girls submarine her on the camping trip because I could be equally spooked in the great outdoors. I hate camping and if bear cubs were licking my feet I would have words just like Vicky! 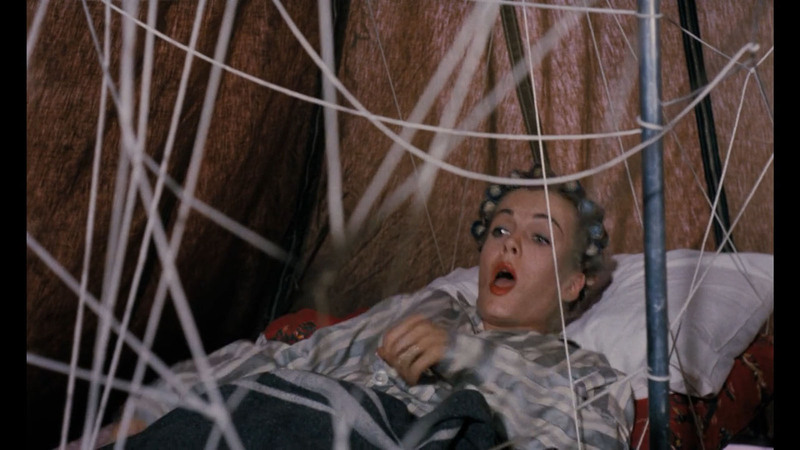 The beginning scenes at camp are also hilarious with the most epic sabotage in movies. I think every kid dreams of pulling those kind of pranks off at camp or with their friends. (I was never big into being pranked but I thought the idea of it was hilarious). It never becomes dour or depressing but is light and fun. Now to my best shot. I realize this movie caused some controversy upon its release because many kids felt they could get their divorced parents back together. This is perhaps a strange testament to the effectiveness of the picture, but I think these complaints miss a key point of the film. Parent Trap isn’t saying all parents should get back together. Of course not. It is just saying THESE TWO PEOPLE should get back together. 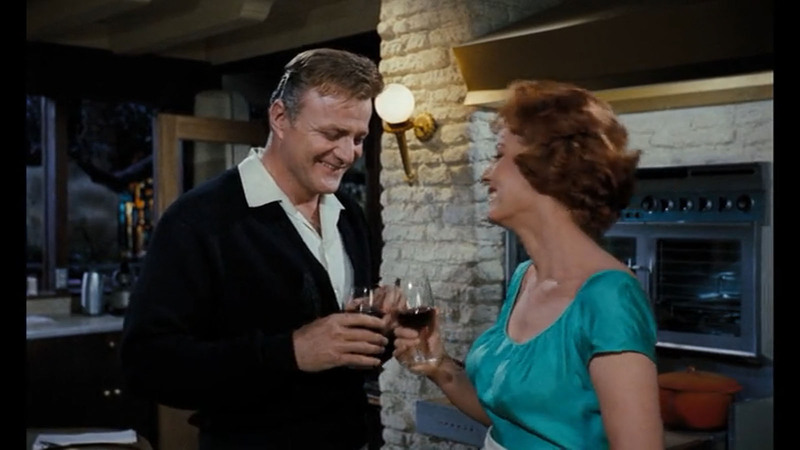 As I said, Maureen O’Hara and Brian Keith have palatable chemistry together. They belong together. It’s as clear as day. The final scene when they talk and embrace is really well written, and I love when Mitch tells Maggie all the silly things he misses about her, and she tells him to wash the stew off of his shirt. It’s just great romantic comedy writing. So, I picked this picture of the two smiling at each other. This is why the movie works and why I love it. What do you think of Parent Trap 1961 or do you prefer the remake? Put in the comments section and what would be your best shot? Please share! I have a strange relationships to both takes on the Parent Trap. They are nice little movies, well made and everything. So in itself, they are a good watch. Unless you actually know the book on which they are based. “Das Doppelte Lottchen” is an in-deep discussion about how divorce impacts children, how difficult it is to be a single parent (a very relevant and barely discussed topic around the time it was written, which was after WWII, a period in which a lot of woman had to raise their children alone), about poverty vs being rich (in the story one child has a mother who works the whole day in order to feed her little family, which leads to the child having a lot of adult responsibilities already, while the other has an artist father, who earns a lot of money, but is always busy and distant and leaves the child alone with a caretaker, who basically just does her job), and the children actually do nothing to force their parents together again. They just ask for their birthday to never be forced apart again, which leads to the parents confronting their feelings and deciding to try to again, not repeating the mistakes they made when they married way too young. So as cute as the Parent Trap movies are, they just don’t have the depth of the original. It’s been awhile since I’ve seen the remake and I don’t remember much from it. I saw the original recently and it was so much fun. Also don’t you love the opening credits?